Add a new event to the calendar. 2. Click the red Administration icon and select Add Event from the menu. 3. Edit the Event Name textbox. 4. Select a Picture to upload, if desired. 5. Select a location. Click the edit icon to edit the chosen location or click the plus sign icon to add a new location. 6. To upload a document, click the Document button. 7. Select the Event Date, Start time, and End time. 8. Click the Add new button to add more days to the event. 9. 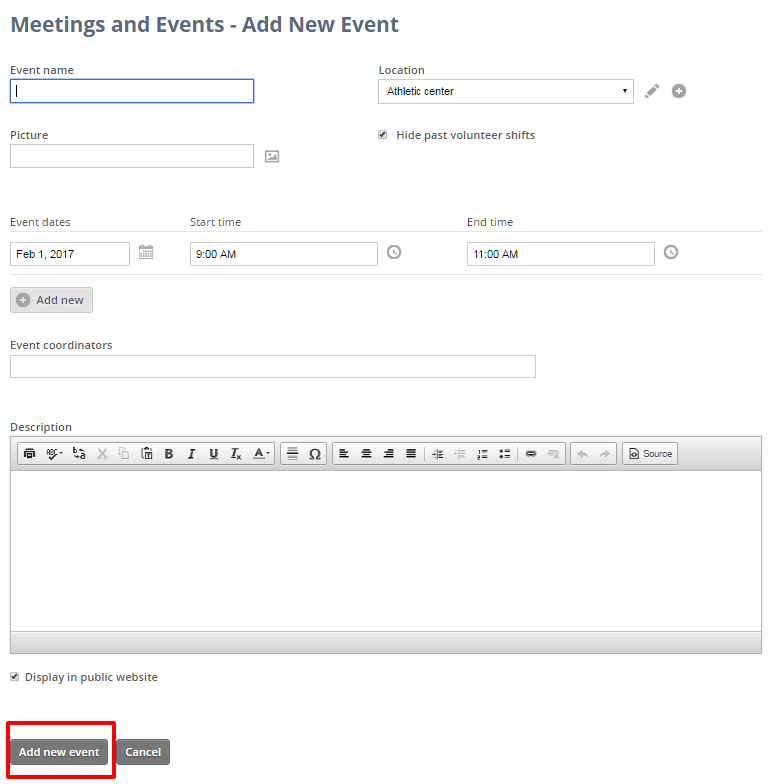 To assign event coordinators, click on a name, or highlight multiple names. Click the right arrow icon to add event coordinators. 10. To remove a coordinator, highlight the name in the Event coordinator list, then click the left arrow icon. 12. Mark the Display in public website checkbox if you would like this event to be displayed on your public website. 13. Click the Add new event button.